A few years back, my better half and I decided to close the doors of the leased shop. sell the house, buy a hobby farm and build a new shop. 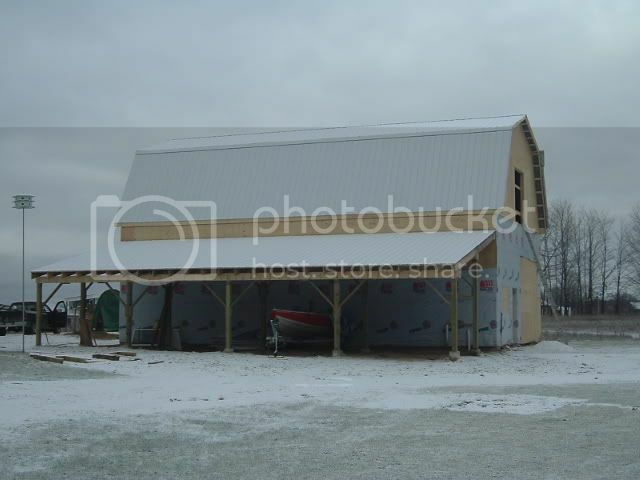 Not one staying put for too long I wanted the shop to look like a barn so that it fit within the the look of the local rural community and in the event we sell, it could double as a horse/livestock barn. I felt I needed a working footprint of 1,500 sq feet, measureing 30’ x 50’ with 12’ ceilings. In hindsight I should have made it 24’ 60’...............that would saved money on materials and trusses but whats a man to do once its there. 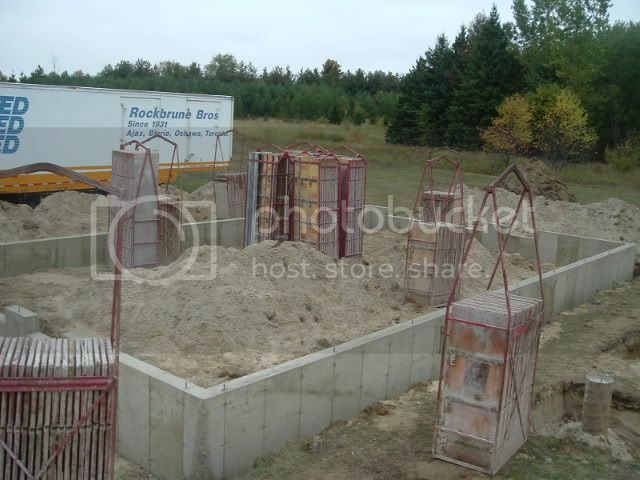 Had a hole dug for the footings and foundation walls and there the challenges began. 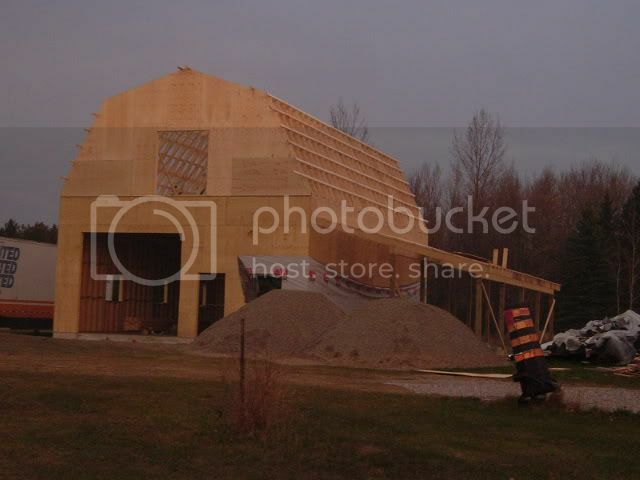 Because the township wouldnt let the hieght of the “shop” exceed the hieght of the roof of the house, we had to call it an “agricultural building” which in turn made everything escalate in price because the building codes change. 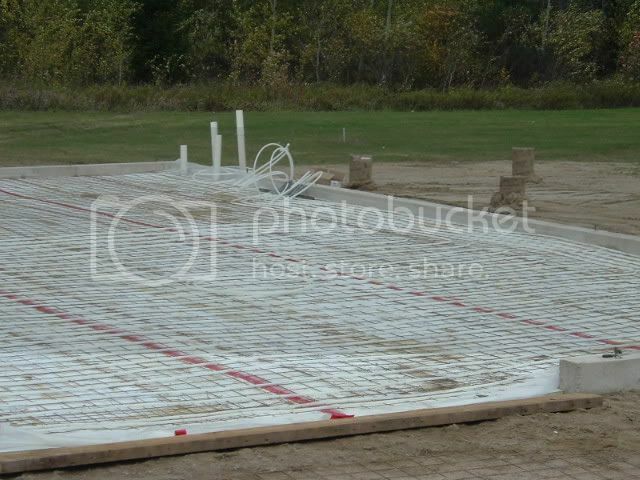 So the footing needed to be reinforced with steel rod (lots of it) and needed to measure 16” deep x 30” wide and the foundation needed to be 12” thick and lots of steel rod. The shed roof of the side of the building needed footings measuring 4’ x 4’ x 16” thick to support 16” dia concrete pileons. Then came the floor. Ridgid insulation 2” thick, followed by thick poly, followed by miles and miles of tubing hand tied to the steel grid for radient heat…..........I walked funny for weeks afterward. 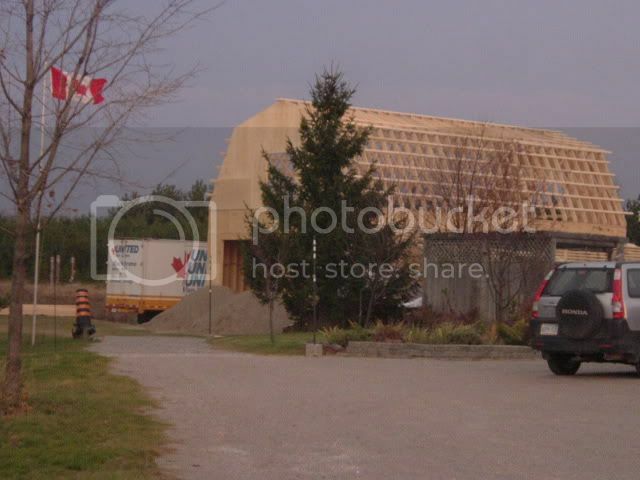 The walls were framed in 2×6 and the ceiling trusses were assembled in three sections. While we assemmbled the three sections of the second floor trusses, others framed the four walls, a crane was brought in and lifted each wall, then lifted the first section of the upper floor, loaded the subfloor on that, some sheeted the floor and the crane dropped the next section, sheeted that and then the final section, then swung around and lifted the roof trusses up. 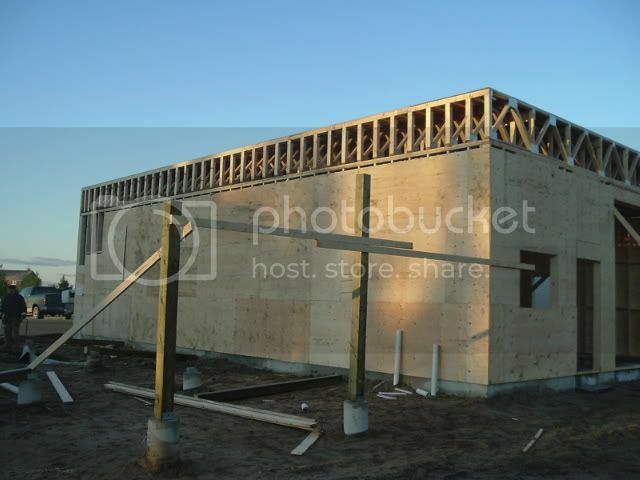 The floor trusses are 3’ thick on 16” centers so that I didnt need any columns on the inside. You could park a cement truck up there. The outside is finally complete, done in a vertical pine shiplap with white aluminum fascia and soffit. the leaks are finally gone, the back up heat system is in…...........next year I hope to open up the second floor and frame in the walls of the shed roof area, add a door from main shop to shed area and use faux stone on the walls of the shed…..............maybe even enlarge my windows to the original size. That’s one might big shop! I like the heating in the floor. Any shop is better then no shop at all ! it doesnt matter how big your shop is, kinda like a savings account in that its never big enough! Great looking shop. I love the size and the heating. You don’t have any excuse not to be in the shop. if your going to do it. ......DO ITTT. A real dandy shop!! I can see you sitting and just looking at it… yeah, I would too. Glad you had to do that roof. I don’t do well on steep roofs. I’m pretty chicken. Glad we got to see it. The roof was…......scarey. I had a friend of Mennonite background help me. He claimed the steel on the 24/12 pitch part, was tooooo long so we cut off 4”. Should have never listened to him as it cost me several thousand to fix his bad judgemnt….........ce le ve! The whole time we were doing the roof, the snow was blowing so hard that one had to lietrally shake like a dog to see where to screw it down. The last pic of the man on the roof. 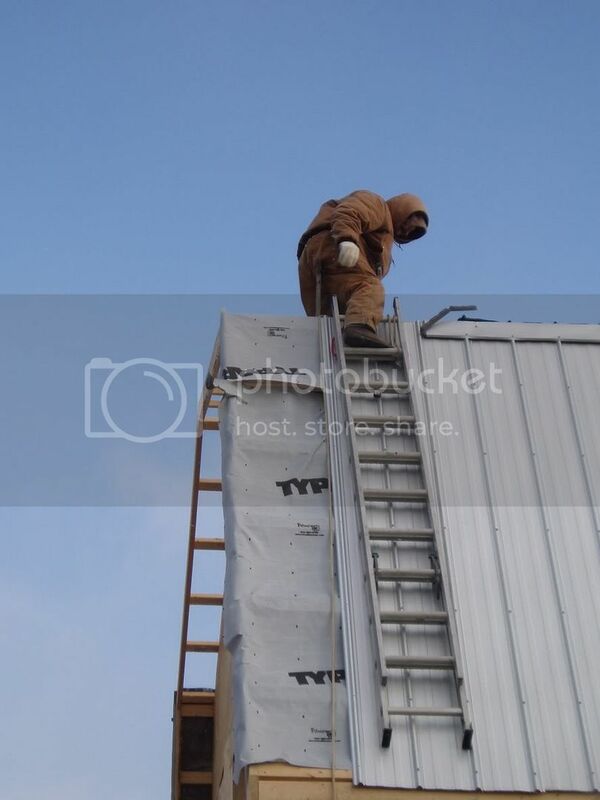 We tied him to that ladder and used the truck to pull him up the roof….............not sure if thats what you are supposed to do but it worked. I’ve never been really big on hieghts but after awhile,you just get used to it???? Have you figured out a use for the second floor yet? It would make a great granny suite. I was thinking it would make a good spot for her, my Mrs.
pay the maintenance fee on the lanes. In all seriousness, it is yet undecided but here are a f…........few choices. 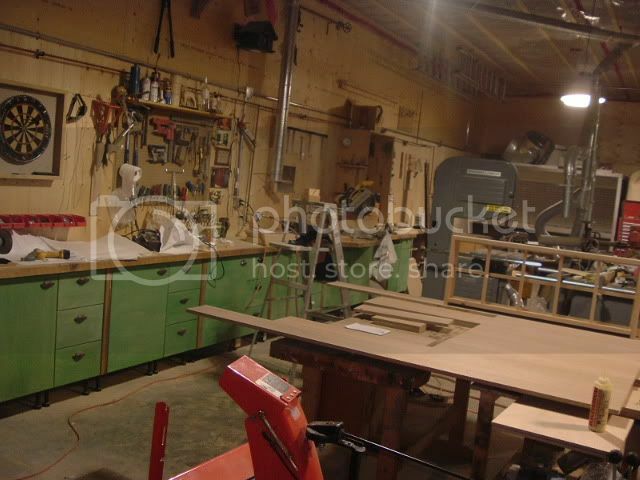 1.Expand the shop and use the upper level for carving, the lathe, design and storage. quite the workspace you created!!! Nice shop Roman ,I would love to have a heated work area that big . Are you putting some type of lifting system for the upper door? If God grant me enough time on this spaceship, then yes. I’ld also like to have a dummy waiter type elevating device from main floor to second floor. .......maybe between the two I could a spray booth upstairs? One daughter attending University, one just finished University, three more to go doesnt leave much spare change. Thats a nice shop you have. 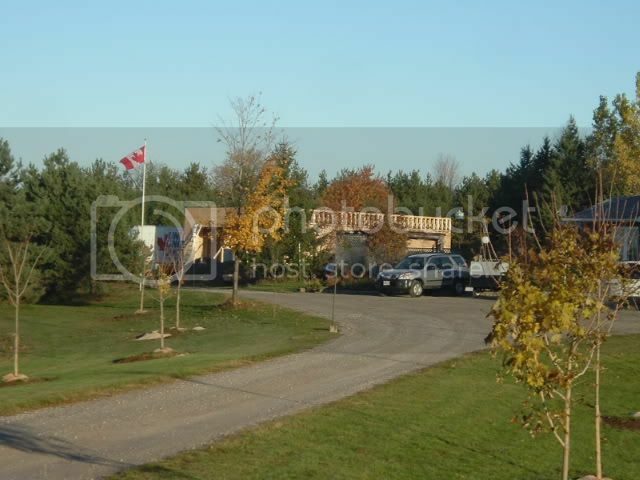 Looking at the pic’s make me miss Canada, I’m originaly from BC. One of my daughters lives in Ottawa, and the other is down in Picton or as she calls it Prince Edward County. The one in Picton sells Real Estate. I was looking at some of her listings, it made me want to pack up and head north. The price of homes where I’m at just 1/2 hr north of Seattle is crazy. 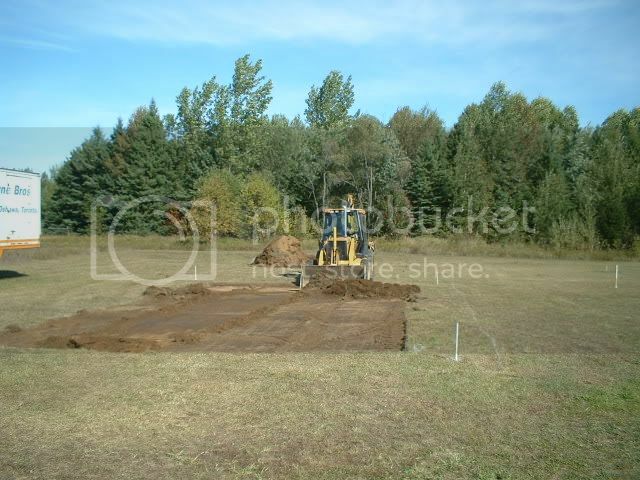 $400k is the starting price, all that will get you is a small rambler on a 1/4 acre in someones back yard. If you have a view of the water it’s a million plus. 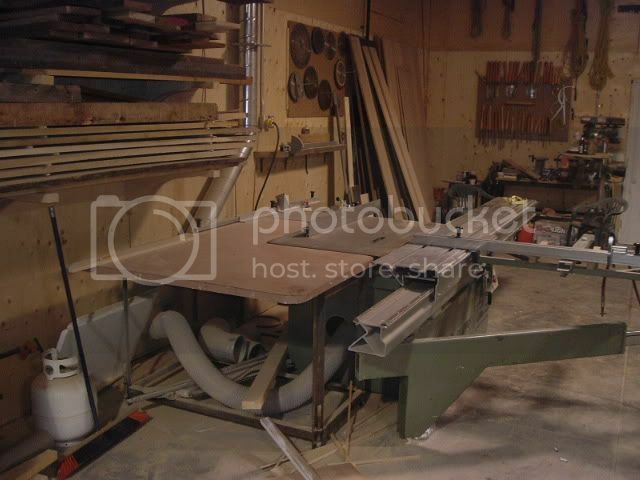 You would think it would be a good place for custom woodworking, Wrong. Most of these people are living way beyond their means. Everything looks good, but their broke. Part of the problem is that the people who were here before the prices went through the roof are now getting taxed to death. The ones who bought when the prices went up, have either lost thier high paying jobs when the Dot com bust happened, or got killed in the stock market. Ten years ago we looked at moving to Canada but got into it with Immigration Canada over my wife. They did not like the fact she was only a stay at home Mom (without a Medical degree) at the time. That and she was not from a country where they seem to find all the others that they are letting into the country. She’s just a plain ol’ girl from Indiana, I’ll leave that one where it’s at. They guy we spoke to at Immagration Canada was from India and could hardly speak english where you could understand him, and he was telling me that it will be very, very difficult to bring her into Canada. He said we could pay the $1000.00 ($500.00 application fee and $500.00 filing fee) to apply and that it could take up to five years to get a answer. So to say the least I was not very happy camper. My wife dragged me out of there before someone called the Horsemen. As you said earlier Ce le ve?